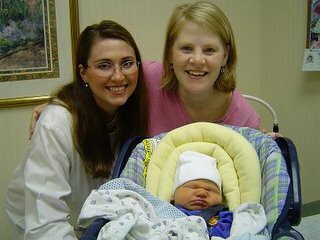 I don’t think I would have made it through the labor, c-section, and hospital stay without the best midwife in the world. I know I’ve bragged about her before and I will continue to do so as she has been such a blessing to me. She takes care of me far beyond the walls of her office. I know I’m emotional and hormonal, but I want to take this time to thank you, Courtney…I love you.